I have WAY too many tabs open in my browser and I really need to close some of them but thought for a moment I jot them down as I do need to remember them. Fascinating Education - Chemistry. This is a review that I am doing FOR ME. Not for my son. Just for me. I like chemistry but I struggled with it at times in Highschool, and now I get to look at it with fresh eyes. :) There will be a review coming down the road. A friend of mine had a daughter do some viking knitting, that caused me to look up right what that was and that led me to this youtube video. This post on OPENLIBRARY.COM interested me.. enough that I'll be linking it on one of my pages on my website here. I'm teaching a class on survival to a group of 9-12 year olds, so I have some tabs open from that research. 16 uses for plastic sheeting. This pinterest board on survival skills. And The Survival Mom. 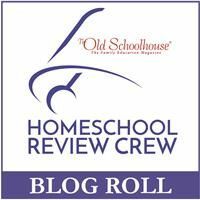 Homeschool Giveaways Has this huge link page for learning about pigs. I'll be pinning this to my nature study board. They also have this list on the Animal Kingdom. Lucan Area Donnelly Museum. A local museum focusing on a sad part of history in this area.